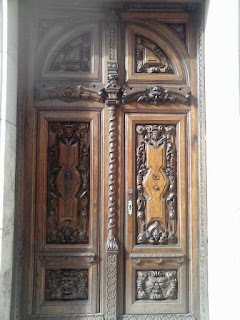 I love wood, especially old battered even wormy wood and have a fixation on doors. Even surprising myself with the amount of photos I have of old Spanish wooden doors. So I just had to share a few out of my collection. 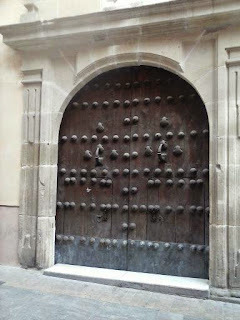 Okay, so this one isn´t wood but a tatty old metal door painted along with the breeze block wall surrounding it. 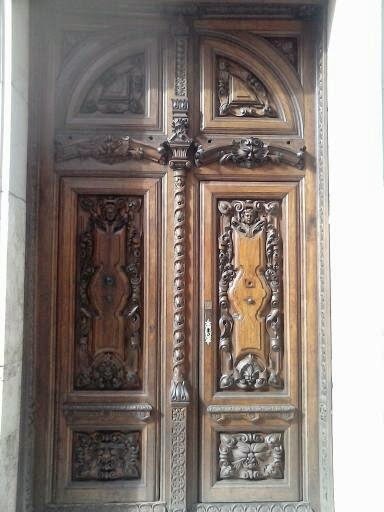 See my wooden church door collection.